But, Rashean Mathis is back in the game for the Lions. Jason Jones and Mike Wallace are chirping. I wonder if there's any love lost between these two teams. It's only one drive but this is the type of run-pass combination that will enable Peterson to complement Bridgewater and vice versa. Wallace just got tangled up in that mop! A penalty moves the #Vikings inside the red zone for the first time today. I always envision Ed Hochuli pulling out Ziploc baggies of protein during each commercial break. Kyle Van Noy gets the first sack of his career as Teddy Bridgewater runs out of bounds. Kalil's been much better this season but not there. 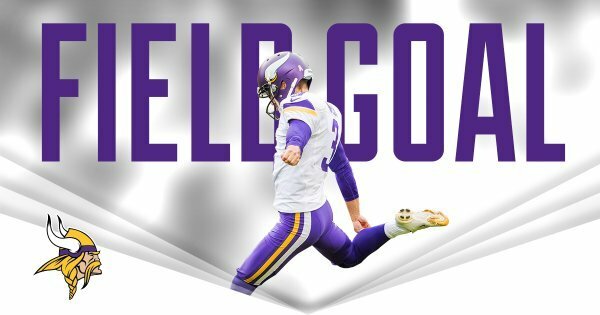 Blair Walsh hits a 37-yard field goal for the Vikings. Lions lead 7-3 with 3:47 left in the first quarter. A @BlairWalsh3 37-yard FG puts the #Vikings on the board.
.@BlairWalsh3 is now 10-of-12 this season after connecting on a 37-yarder. 7-3 #Lions lead with 3:47 left in the 1st quarter. #Vikings ' drive stalls, convert 37-yard field goal and trail #Lions 7-3. Minnesota now has eight FGs to seven TDs in red zone this season. So on second-and-11 Peterson missed on his block and then on third-and-11 Kalil was at fault. What is going on in coverage at Ford Field? Is the Vikings defense trying to top its San Francisco performance? Stafford to Ebron for a 7-yard TD. The Lions offense suddenly doesn't completely stink! #Vikings hadn't given up a first-quarter TD all season. They've given up two in Detroit. What happens to his defense at airports? A 2nd DET TD puts the Lions up 14-3 ith 1:24 left in the 1st. Who was supposed to have Ebron? Can't figure out if that was on Barr or Sendejo. Sendejo ended up looking lost. #Vikings ' pass rush isn't getting home enough on opening two drives. Floyd's absence not only issue there. Safeties just aren't very good. Can't cover my Gramma!